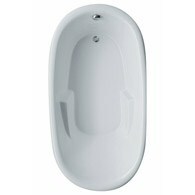 The Alesia 7240 tub is completely customizable. The configuration shown here is just the beginning. Review the list of options to create the tub that is perfect for you.